« Everyone here is so approachable, it really represents the spirit of rugby » observed a fan who attended to support the association. 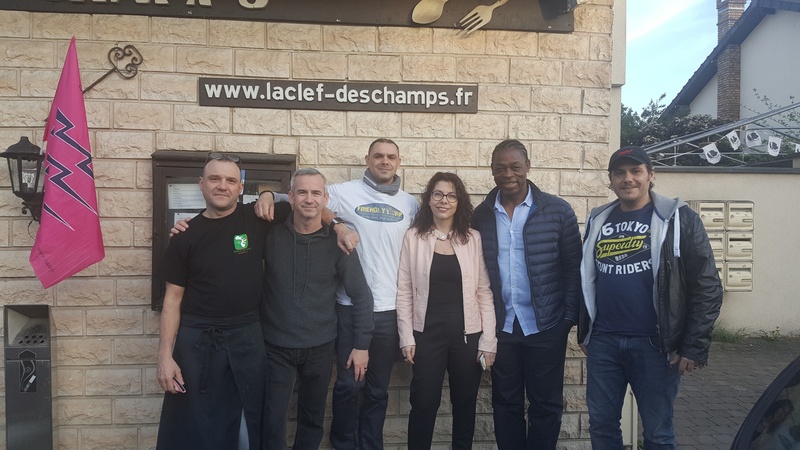 The event took place in the presence of many French rugby icons including Bakary Méité, Alain Gazon and Serge Betsen accompanied by his troupe that helped organised the dinner at La Clef des Champs restaurant in Paray-Vieille-Poste to honour the Serge Betsen Academy. 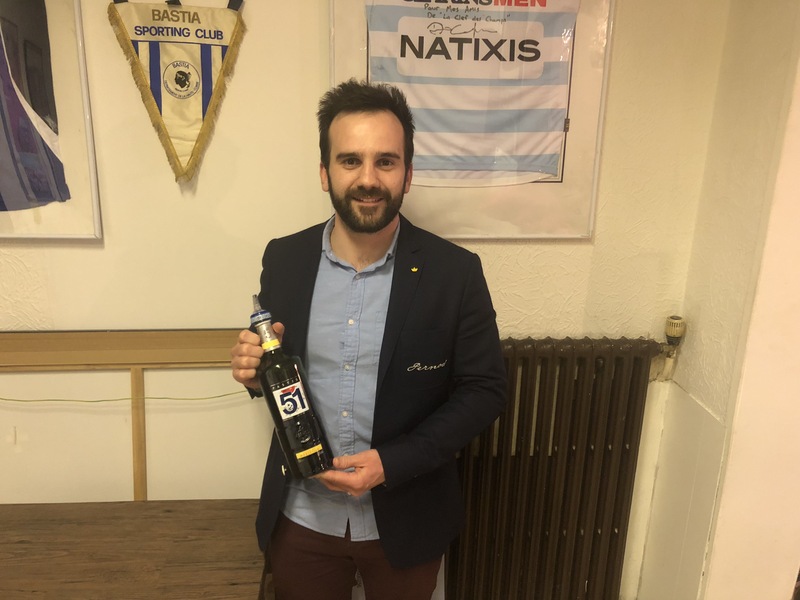 The flags of the Stade Français, Wasps and Massy Essonne Rugby Clubs were proudly on display, so it was impossible to misapprehend the context of the evening. 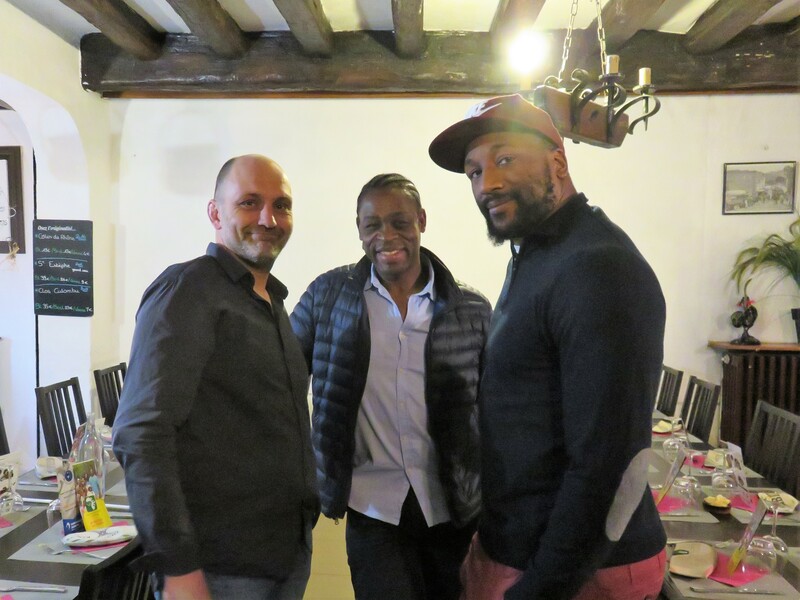 A warm welcome was given by Yves and his team, around 50 people gathered for this memorable dinner in honour of the association working together since 2004. 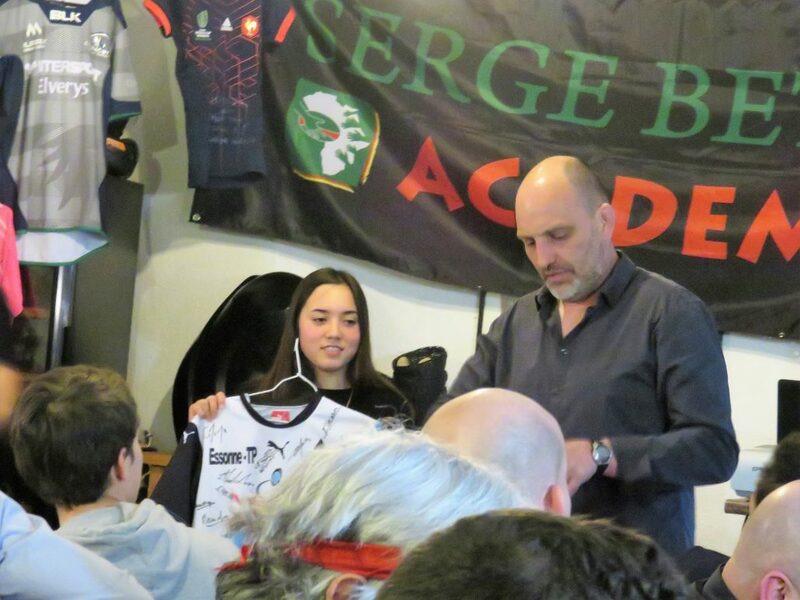 “There is a lot of generosity in this association which corresponds perfectly with my sport: rugby. Thank you all for being here tonight.” declared Serge. 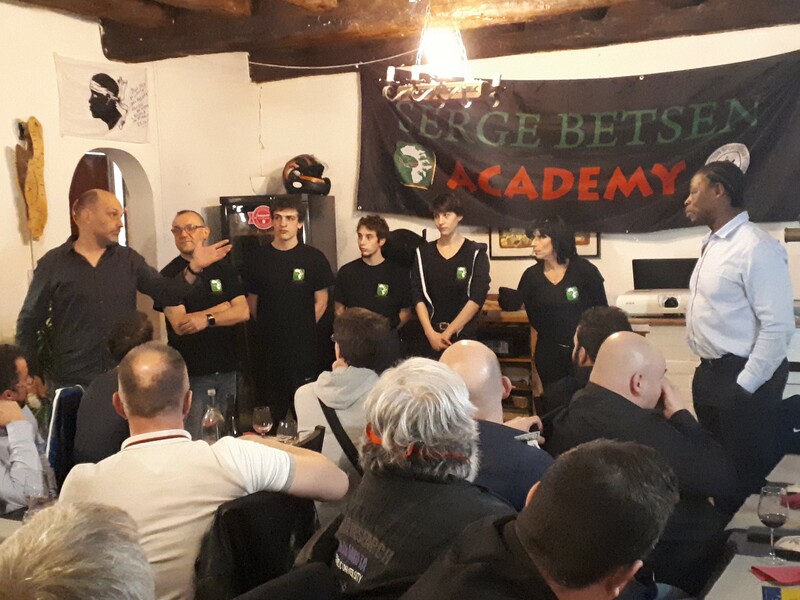 After a presentation of educational videos, Serge and his team answered questions posed by the audience. This provided a clear opportunity to observe the passion and enthusiasm that this association generates. 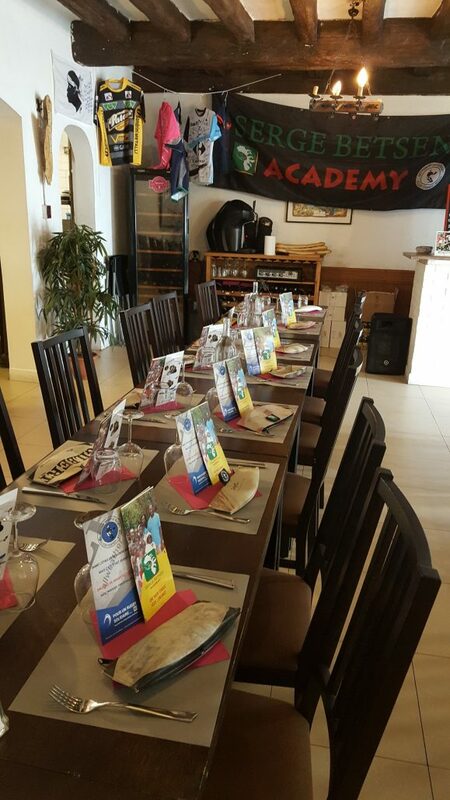 Tables were brightly decorated with the colors of the association which, together with the festive menus contributed to the warm atmosphere; a perfect match with the spirit of the Serge Betsen Academy. The guests stamped their mark on the meeting with conviviality, enthusiasm and solidarity. “It is crazy how rugby can make you want to succeed” a woman whispered in her husband’s ear. 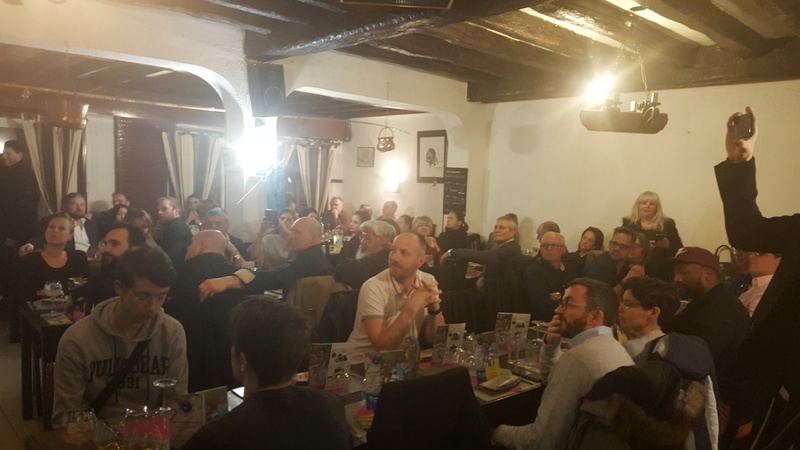 A highlight of the evening was the auctioning of champions’ jerseys including Mathieu Bastareaud from the 2010 Six Nations Tournament and another from Massy which was followed by further surprises to bid for. “Are there any supporters of Stade Français here in the hall this evening?” Lionel asked. A few smiles broke out and five or six hands went up. The auction was fun, successful and really well conducted. “I know that all this money will be used for direct and positive actions for this association, so it is with great pleasure that I have participated” declared a benefactor. This charity dinner has evoked the true spirit of rugby and raised more than four thousand euros. Success will now follow very quickly as a result. 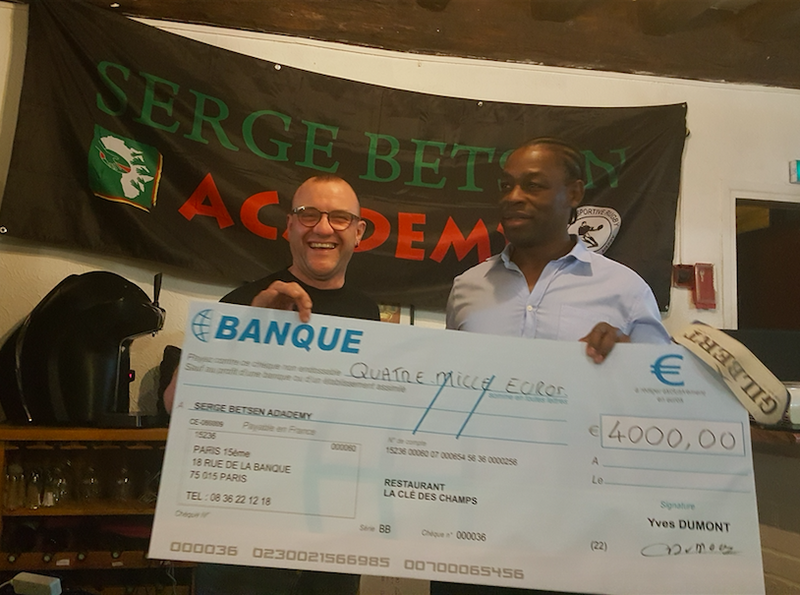 “I want to thank everyone for coming tonight and especially Yves and all his team to whom we owe a debt of gratitude for making this event possible” Serge Betsen.